You’re reading novel Paradise of Demonic Gods Chapter 634 online at LightNovelFree.com. Please use the follow button to get notification about the latest chapter next time when you visit LightNovelFree.com. Use F11 button to read novel in full-screen(PC only). Drop by anytime you want to read free – fast – latest novel. It’s great if you could leave a comment, share your opinion about the new chapters, new novel with others on the internet. We’ll do our best to bring you the finest, latest novel everyday. Enjoy! He succeeded in condensing his martial will! Fang Xingjian combined his martial arts cultivation with the Mountainous Sea's Book of the Way, the manuals belonging to the Mystic Abyss Heavenly Emperor and the Full Moon Shrine, as well as the profound theories from the Universal Astral Realm Book and from many other sects. With all that, he finally created his own Heaven-Connecting Sword Physique. Right now, he was completely separated from his physical body as he dashed out toward the sky. It took him only a moment to feel uninhibited, like he could do whatever he wished. Humans had always been restricted by their own bodies, and there are too many limits to the human body. However, there was no limits to one's heart. Right now, Fang Xingjian was moving about in the sky purely in the state of his martial will. He was like an electromagnetic wave, a light wave, or an infrared ray, able to cut across the air and pierce through the clouds at close to 300,000 kilometers per second. 'So, this is how it feels to travel about the world as one wishes in the state of the martial will?' Fang Xingjian sighed. 'It's no wonder the manual stated that some people in history gave up on their physical body in their cultivation process, existing purely in the form of their martial will. However, Fang Xingjian also knew that although the temptation of existing purely as a martial will was very big, there were also unavoidable side effects. It was just as what Fang Xingjian was feeling now. Even if he condensed his martial will into the Heaven-Connecting Sword Physique, he would still be constantly losing his powers at all times, always needing to replenish with the ether particles energy in the air. The constant depletion and replenis.h.i.+ng would cause one's martial will to gradually become polluted by the impurities in ether particles. Of course, the stronger the martial will was, the slower the speed of getting polluted would be. However, after the acc.u.mulation of months and years, it would still eventually cause the cultivator's martial will to become impure and their cultivation would regress. On the contrary, if the martial will was normally stored and protected by the physical body, it would receive nourishment from the body's vital energy and blood. As such, the body's physical strength could be constantly transformed into martial will, and one's power would be a lot more pure. Moreover, at the second tier of the Divine level, after the cultivator condensed their martial will to create a conjured physique, they would need to rea.s.semble the physical body. This would cause the will and the body to be merged into one, and the cultivator would be able to transit between both states. It is only after this that the cultivator would then be able to strive for the third tier of the Divine level. Therefore, the physical body was still very important. To abandon the physical body in order for a moment of advantage... The loss would be one's entire future. Even if the person were to rob someone of their body, they would have to train up that person's body to the Divine level before the body would be a good match for their martial will. It was only with that would they then be able to continue their cultivation. Sets of thoughts flashed in Fang Xingjian's mind at the speed of lightning. Then in that instant, he pierced through the atmosphere layer and arrived in outer s.p.a.ce. He lowered his head and could see that the ground under his feet had turned into a sphere. A huge star appeared under his feet. Fang Xingjian then looked up into the sky and saw that amidst the endless darkness, layers and layers of invisible ether particles encompa.s.sed the entire planet. They were invisible and had no form, thus it was very hard for ordinary people to detect them. The ether particles would not affect the sun from s.h.i.+ning down either. However, they contained a tremendous amount of energy. In the eyes of cultivators, especially Divine level experts, they were like countless worlds, wrapping many layers around the planet. The Heaven-Connecting Sword Physique, which Fang Xingjian had transformed into, shattered with a boom and turned into several hundred thousand small-scale Heaven-Connecting Sword Physiques. Each of them seemed material. They had four sides and looked exactly the same as the large-scale Heaven-Connecting Sword Physique from earlier. When these small swords were put together, they were like countless building blocks, once again a.s.sembled to form Fang Xingjian's appearance. Clenching his fists, Fang Xingjian sensed that the body his martial will had transformed into was extremely agile, fast, and filled with endless power. Just by casually clenching his fists, violent gravity would seethe within his body. Moreover, with the abilities of the Eternal Sword Seigneur's Sword Prowess and Sword Force, Fang Xingjian's current destructive prowess and strength far surpa.s.sed the limits of ordinary first tier Divine level experts. He raised his head to look toward the sky. The densely packed ether particles seemed to have turned into something material, encompa.s.sing the entire outer s.p.a.ce. There were a total of nine tiers of such ether particle layers, and they were known as the Nine-Tiered Heavens. Breaking through each tier would allow one to increase by one level. Additionally, rumors had it that after breaking through the final tier, one would be able to surpa.s.s the Divine level and surpa.s.s the entire Miracle World. Fang Xingjian sensed the seething power in his body and wore a hint of a smile on his face. Then he dashed out and charged into the first tier of the Nine-Tiered Heavens. He darted in fiercely. I appeared to the outside world as if there was nothing. However, with Fang Xingjian's senses, an overwhelming amount of information gushed into his consciousness. All sorts information concerning one's sight, hearing, touch, and smell formed a world that only a Divine level expert was able to see. In Fang Xingjian's eyes, the empty outer s.p.a.ce under his feet had already turned into a myriad of golden clouds. Amidst the sea of clouds in midair, there were countless material objects and endless stretches of people that were densely packed together. With the world's metamorphosis, an endless supply of ether particles had appeared on the planet and then scattered out to outer s.p.a.ce before condensing together. They brought along countless energy and memories with them, and then finally turned into an army of countless souls of the dead on the first layer of the Nine-Tiered Heavens. The first layer of the Nine-Tiered Heavens was formed from all the first tier Divine level experts who had previously appeared in history. There was not just one but a countless number of them. Lifting his head and looking over now, Fang Xingjian could see at least several hundred World Annihilation Heavenly Lords that looked exactly the same. All of them were formed from the same memory, and it was as if they were the World Annihilation Heavenly Lord's replicates. At almost the same moment when Fang Xingjian appeared, all these souls of the dead, that had awakened from the memories and energy, let out deafening roars all at once and attacked him. The eyes of these souls of the dead seemed very lifeless, as if they had no intelligence at all and only knew to attack anyone who tried to challenge the Nine-Tiered Heavens. Violent martial wills attacked Fang Xingjian like a tsunami. However, he just smiled coldly and punched out without holding back. The Heaven-Connecting Sword Physique once again displayed his terrifying battle prowess. As Fang Xingjian punched out, countless sword forces seethed within the Heaven-Connecting Sword Physique, stacking together. They even absorbed the omnipresent gravity, which was then mixed in as well and unleashed all at once. The unreserved punch was heaven-shaking, and the tsunami-like gus.h.i.+ng martial will was shattered by Fang Xingjian. At least several tens of the souls of the dead, who were at first tier of the Divine level, exploded from Fang Xingjian's punch. However, the other souls of the dead did not seem to have any terrified emotions at all. The continued to pounce over incessantly from afar, just like waves of zombies, pressing toward Fang Xingjian while mixed with endless martial wills. 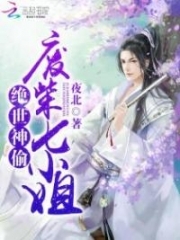 Watching as the crowd pounced toward him, Fang Xingjian let out a cold laugh and charged in with the powerful Heaven-Connecting Sword Physique. He attacked the countless people single-handedly. in the end, Fang Xingjian smashed in like a meteor. All the souls of the dead exploded wherever he pa.s.sed by. The World Annihilation Heavenly Lord roared out furiously and pounced at him, but Fang Xingjian punched out across s.p.a.ce, causing the World Annihilation Heavenly Lord to explode. Many more souls of the dead came pouncing over, and waves of martial will pestered and struck Fang Xingjian's body. However, they were unable to obstruct him for even a moment. Martial wills were being torn apart, and bodies kept on exploding. Fang Xingjian seemed to have charged into rows and rows of a battle formation, das.h.i.+ng to and fro within. His fists punched out across s.p.a.ce continuously, causing the souls of the dead to explode one after another. 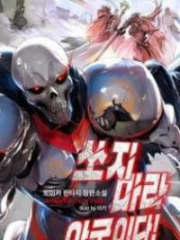 You're reading novel Paradise of Demonic Gods Chapter 634 online at LightNovelFree.com. You can use the follow function to bookmark your favorite novel ( Only for registered users ). If you find any errors ( broken links, can't load photos, etc.. ), Please let us know so we can fix it as soon as possible. And when you start a conversation or debate about a certain topic with other people, please do not offend them just because you don't like their opinions. You're reading Paradise of Demonic Gods Chapter 634. This novel has been translated by Updating. Author: Bear Wolfdog,熊狼狗 already has 1182 views. Current Time is Apr-19-2019 12:59:40 PM.